When Apple enabled video trimming in Aperture 3, my guess is they wanted to enhance the Slideshow module. And that they did. You can now combine still images, video, and separate audio tracks to create beautiful productions. After playing with this module for a few hours, however, my message to Apple is that I would prefer even more video functionality (yeah, I know). But quite honestly, the task I often have at hand is to shoot video, cut it, then upload to YouTube -- as quickly as possible. 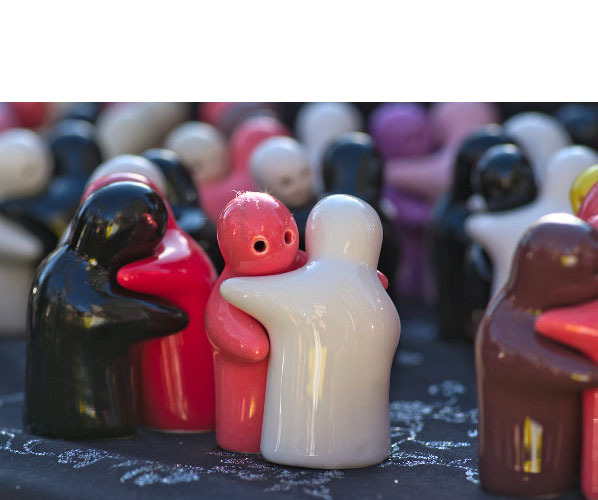 Incorporating still images and soundtracks are fun, but not the normal project. This short movie, "Mission St., SF" was captured with a Canon T1i, then imported directly into Aperture 3 for production and export. Click through to YouTube for the HD version. So if you have your hopes up that there's a mini Final Cut Pro inside of Aperture, you might want to lower your expectations. The video tools are extremely basic. What you can do, however, is useful. 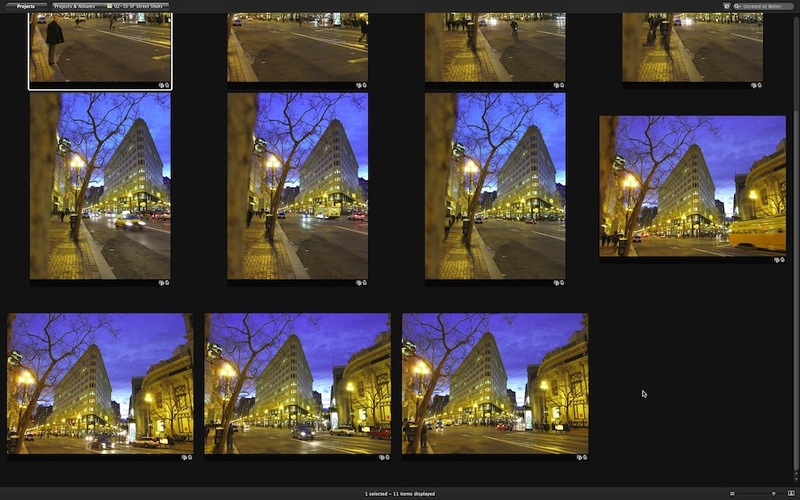 Add and manage DSLR video clips in the Aperture library. And thanks to the improved Import dialog box, you can choose which types of files you want to upload. Select the video clips you want to work with, then go to New > Slideshow where you can organize their sequence, add a soundtrack, add title slides, and choose some basic parameters for your presentation. Trim video clips by double clicking on them. This is very important because the one thing that all videos need is editing. Export your production using one of the 5 presets or custom export settings. I used the HD 720 preset for this short movie. I know it seems odd to use the Slideshow module for your video editing. But I think that's due to Apple's original concept for video management in Aperture. I wouldn't be surprised if up the road we see a dedicated module for handling movies. 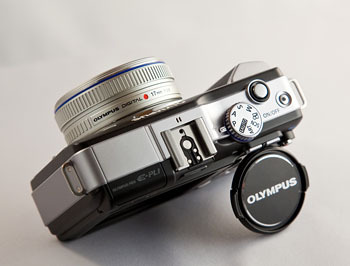 In the meantime, however, this is a huge addition to Aperture 3. And it will make my life more efficient and productive. The Lowepro Pro Runner 300 AW is a photo backpack that holds the essential gear I need while working in the field, but it has a slim profile enabling me to work less obtrusively in urban environments. Yet, the Pro Runner has all of the features I need for shooting in the rugged outdoors. As the photography evangelist for Lowepro, I get to test a variety of bags. 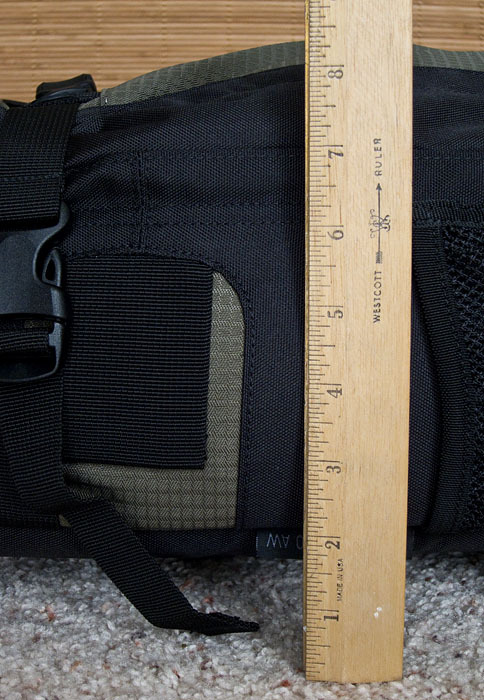 In my last review, I put the Lowepro Fastpack 250 through its paces. The Fastpack remains one of my favorite combination backpacks (laptop and photo gear), especially for light jobs that require air travel. The Pro Runner 300 AW fills a different need. It holds primarily photo gear (although the iPad may change that) and is used for more intensive photography jobs, or for situations when I can take two bags -- one for photo gear and another for computer stuff. Above all, what I really like about the Pro Runner 300 AW is its slim profile that allows me to tote it just about anywhere, even on a crowded city bus. The backpack has a sturdy handle on top making it easy to pick up or grab out of a storage compartment. The harness system is very comfortable, capable of day-long treks, but it isn't bulky. I think this is a big deal, especially when working in the city. For example, I like having the belly band when I'm hiking, but it often gets in the way for street work. With the Pro Runner 300 AW, I can stash the belly band in the bottom AW compartment so it isn't visible at all. If I need it for a longer haul, it's easy to pull out and use. Speaking of the All Weather cover, it adds an extra level of moisture protection in rain and snow. Other Pro Runner niceties include two side mesh pockets, outside tripod harness system, and sliplock sleeves. The backpack is available in both black and pine green with black accents. I prefer the pine green model. It's quite handsome. The Lowepro Pro Runner 300 AW is available for $149.95 US. 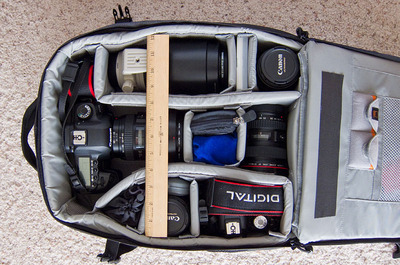 If you need to carry a lot of gear, but want to be nimble, take a look at it. 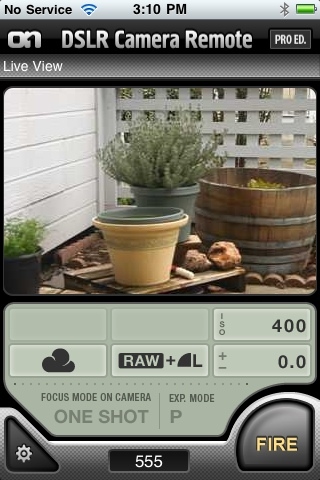 Live Guide: Easily see and adjust your settings on the LCD before you take the shot. At first this doesn't sound like much. But once I used it, I felt like it was a breakthrough in camera UI. There are a series of adjustments -- saturation, color, brightness, blur background, and express motions -- that you fine tune by moving a slider up and down and seeing the results in real time on the LCD before you take the picture. Very cool. 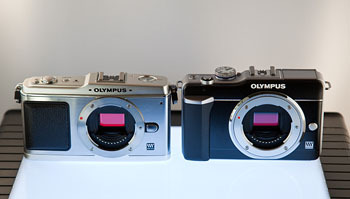 Built-in flash: It's mounted atop a clever arm system that gives it some height above the lens. Yaay. I like it! Faster autofocus with the new 9-18mm and 14-150mm lenses:Â I tested the 9-18mm zoom, and its performance was snappy. Direct Movie Button for HD Videos: It's red and you can't miss it. And if you want to shoot HD video in a hurry, it's terrific. One touch recording. Share: Just connect the camera to an HDTV with an optional HDMI cable and use your TV remote to control playback functions and navigate the camera's menus from the comfort of your chair. 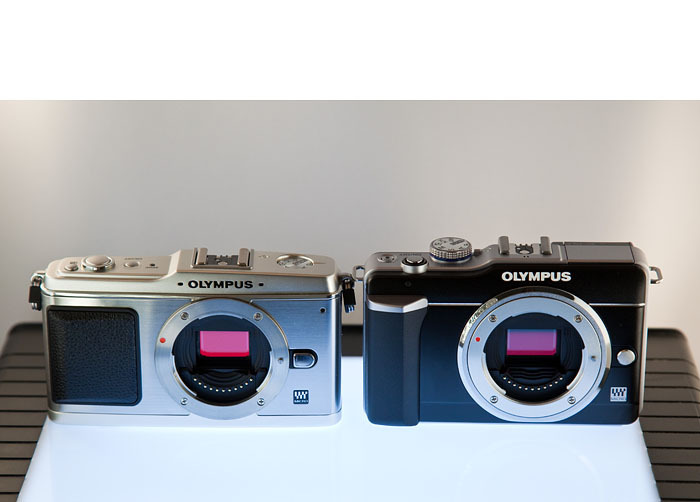 Continuous Autofocus (C-AF) Tracking and Autofocus (AF) Target Registration locks your subject into focus and constantly adjusts focus and brightness. 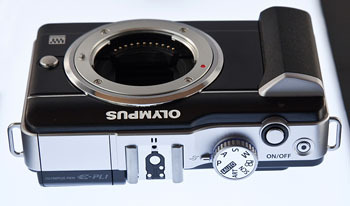 2.7" LCD provides a wide viewing angle of 176 degrees. Unfortunately it's still only 230,000 dots. Accessory Port (like the one on the E-P2) for connecting the optional VF-2 electronic viewfinder, or the new optional SEMA-1 external microphone adapter set (which includes the EMA-1 adapter, the ME-51S stereo microphone and a cord). Works with any microphone that has a 3.5mm plug. 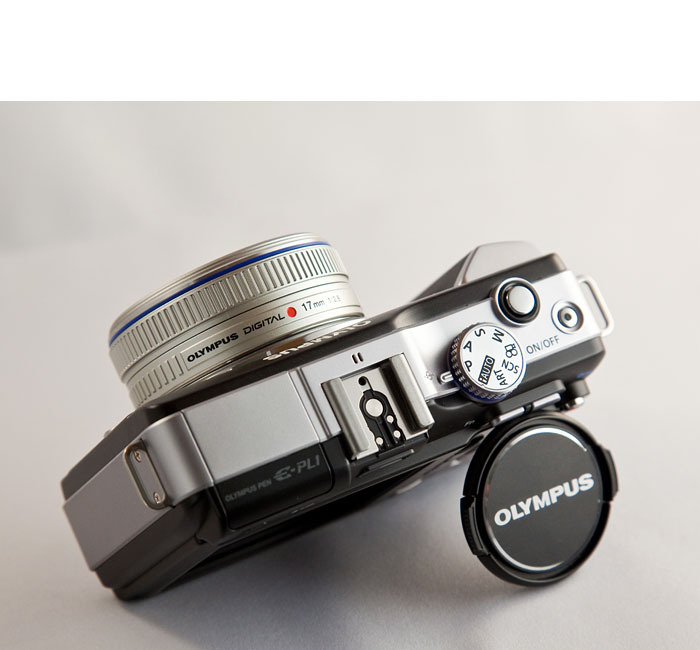 Optional PT-EP01 underwater case that has been specially customized for the Olympus E-PL1, and is waterproof to a depth of 40 meters (approximately 130 feet). 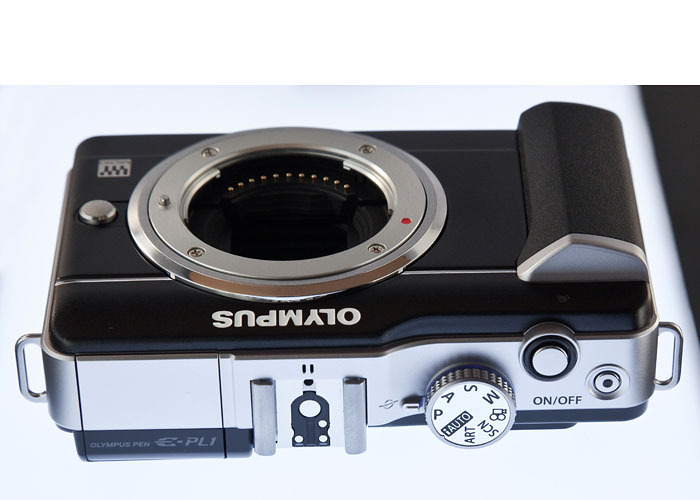 Aside from all of its features, I think this is a beautiful camera, especially the black and silver model I've photographed for this article. I really like metal mode dial on the top deck, raised buttons, right-side hand grip, and overall solid feel. I also appreciate getting a proven 12MP sensor, HD video recording, and accessory port for less than any of the other PENs. I really like this camera, and I'm going to hate sending it back. I will, however, have it with me at Macworld. So if you want to see it in person, be sure to look me up. 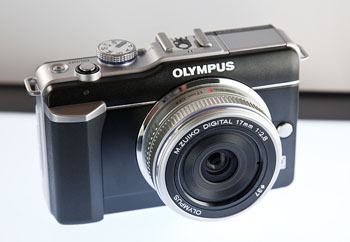 The Olympus E-PL1 will be available in March 2010. It includes the E-PL1 Body, M. ZUIKO DIGITAL ED 14-42mm f3.5/5.6 Zoom, USB Cable, Video Cable, Li-Ion Battery Pack (BLS-1), Li-Ion Battery Charger (BCS-1), Shoulder Strap, Olympus software CD-ROM, Manuals, and Registration card. 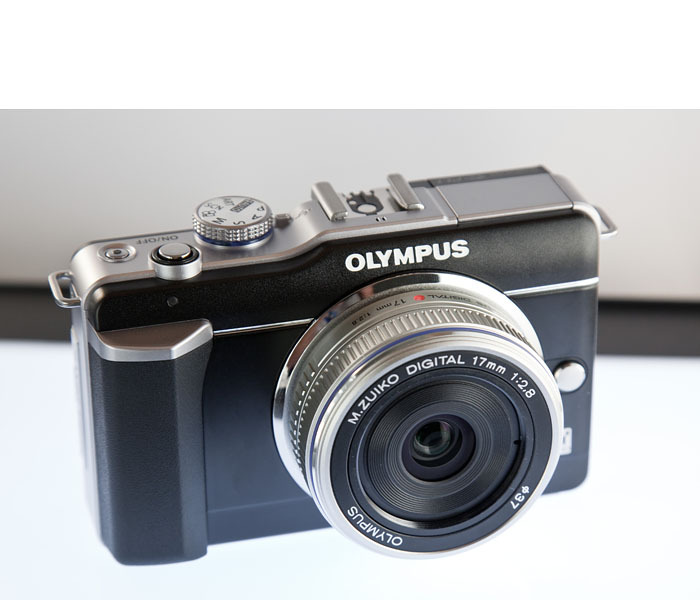 If you like what you see, however, you can preorder the Olympus PEN E-PL1 right now on Amazon for $599 . Photos of the E-PL1 PEN copyright 2010 Derrick Story. 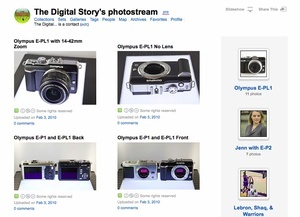 For a complete set of E-PL1 images at full resolution, visit the TDS Flickr Page. Control your Canon or Nikon DSLR remotely with your iPhone. I knew there would be a good reason to hang on to my 1st gen iPhone after I had upgraded to the 3GS. Among other handy tasks, it is now my remote control for both the Canon 5D Mark II and a Canon Rebel T1i. Using DSLR Camera Remote by onOne software, I can literally see through my camera lens on the iPhone with its Live View function and fire the shutter at any time. Plus, I can change the ISO, white balance, file format, and exposure compensation directly from my iPhone. I don't even have to be in the same room as the camera to control it. All I need is a WiFi network that my iPhone can log on to, and a Mac computer with the Canon connected via its USB cable. The entire setup takes about 15 minutes. I like to use this rig for bird watching. I have a makeshift birdbath on my back patio. The birds love it, but they are shy and don't like it when I stand at the sliding glass door with my camera. So I plugged a DSLR into a MacBook running the DSLR Remote Server software (that's a free download from the onOne site), and monitor the bird activity on my old iPhone 1st gen while working away at my desk -- far away from the slider. When I see something I like, I hit the "Fire" button on my iPhone, and the DSLR takes a picture. I still have my new iPhone to take calls and use for other activity. There are two versions of the iPhone app: Pro ($19.99) and Lite ($1.99). 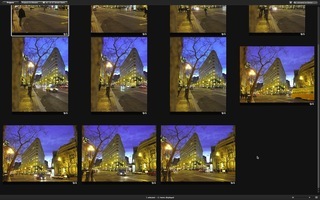 The Lite version allows you to trip the shutter and see a preview of the shot you've just captured. Very basic, but also very handy for only a couple bucks. The Pro version enables all of the functions I mentioned above, plus it includes an intervalometer, auto bracketing, and burst mode controls. 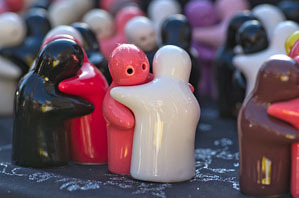 I tested DSLR Camera Remote with both the 5D Mark II and the T1i. It worked flawlessly with both cameras. I highly recommend it.